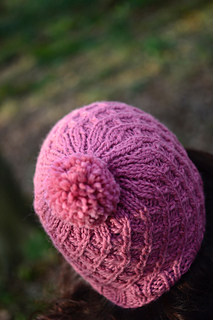 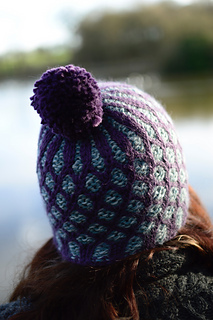 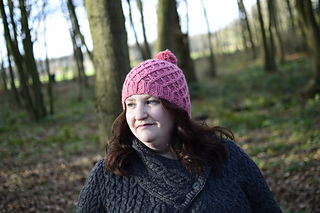 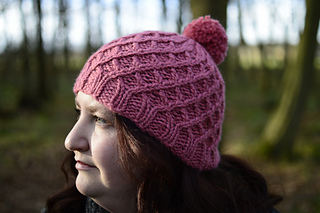 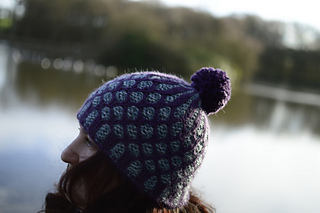 A number of people have mentioned that they’ve found the sizing on the small side - you may want to try 5.5mm or 6mm needles (and make sure you block the hat - I use a balloon). 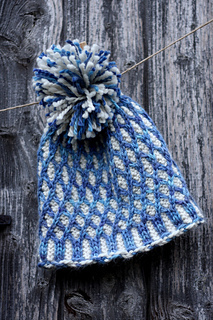 Eden Cottage Yarns Whitfell Chunky (100% baby alpaca/100m/109yds); 1 skein shown in colourway Echinacea (top). 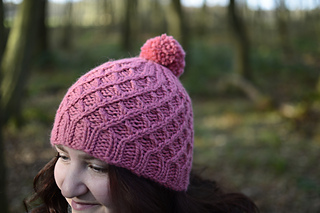 Instructions for this are not in the pattern, but it’s very easy to do - just work the purls in one colour and the knits in the other colour. 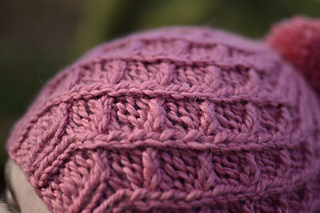 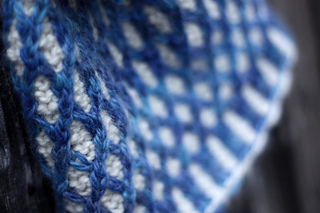 The colourwork tightens the gauge - consider going up to 6mm or even 6.5mm or 7mm needles depending on how tightly you knit.